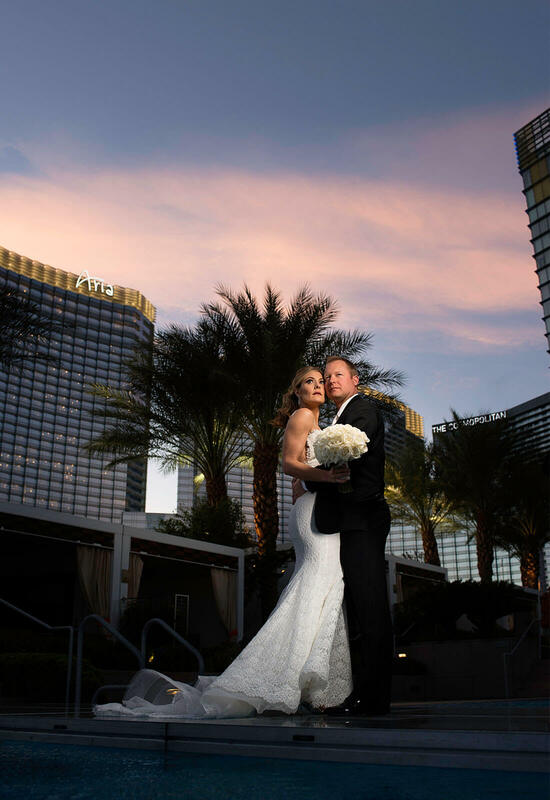 The epitome of romantic sophistication, Jennifer Beasley was a bridal vision as she married her soulmate, Aaron Williamson at the Mandarin Oriental in Las Vegas, Nevada on October 15, 2016. 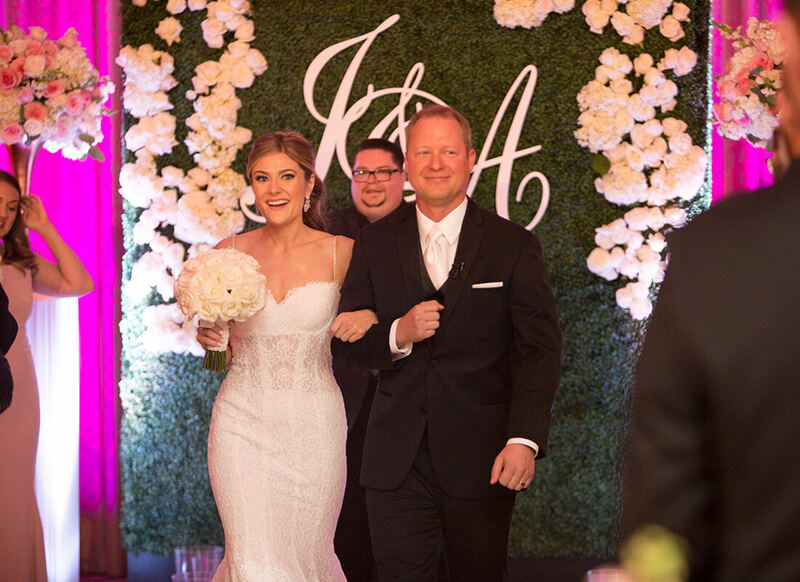 In an enchanting lace sheath gown, Jennifer had found a dress that was everything she had been wishing for and more. 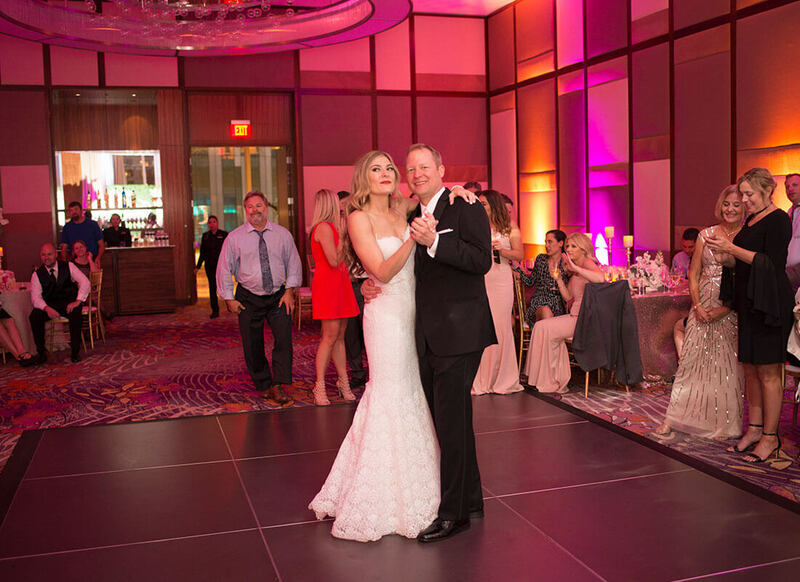 When it came time for Jennifer to begin searching for her wedding dress she knew that she wanted to start at the Pnina Tornai Boutique at Kleinfeld Bridal. “From the moment I walked in I was overcome with the beauty of the dresses,” Jennifer recalls of her first time in the famous boutique. While admiring the gowns, Jennifer turned around to see none other than their designer, Pnina Tornai standing there in the boutique with her. With the surprise treat of meeting the famous designer, Jennifer began to try on some gowns. 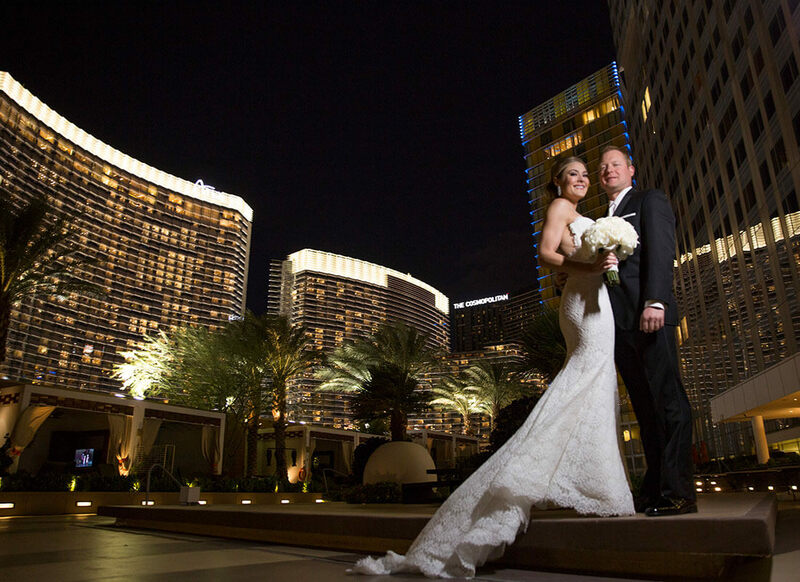 After trying on a few dresses, Jennifer slipped into her first Pnina Tornai gown: a French lace sheath gown with sweetheart neckline, sheer bodice, and tennis bracelet straps. From the moment Jennifer walked out to her entourage in the gown, everyone knew that that was the dress for her. 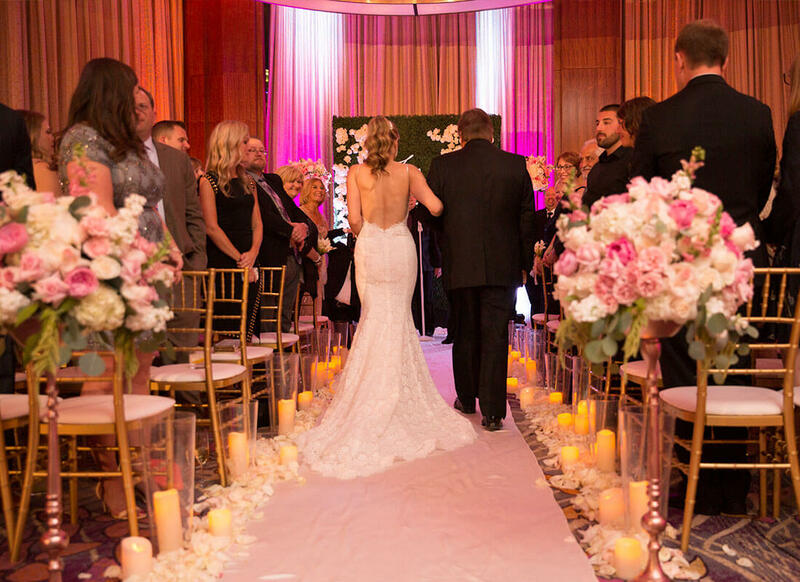 Just to make sure Jennifer tried on a few gowns after the dazzling Pnina Tornai lace gown but nothing could compare. 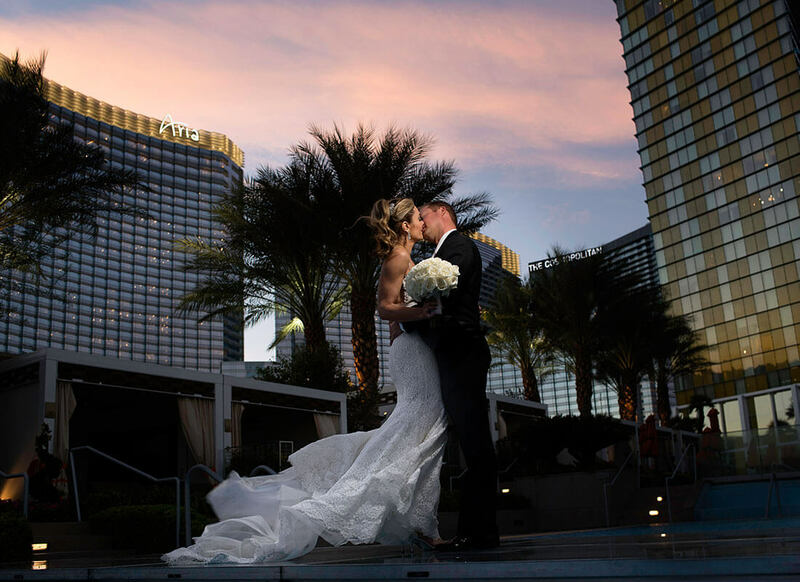 Jennifer said yes to the breathtaking lace dress she had fallen in love with and as an added bonus, Pnina Tornai herself took Jennifer's measurements! Everything about the gown amazed and thrilled Jennifer. The fit of the gown could not have been more perfect. 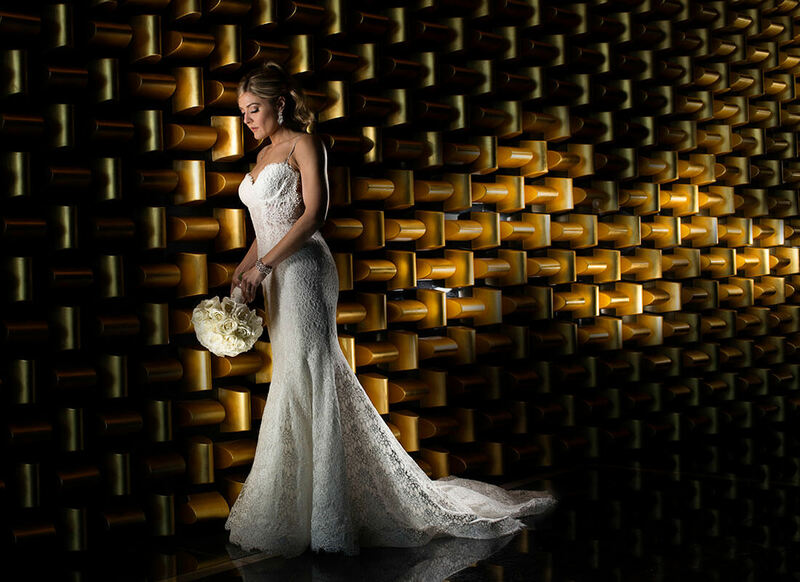 It covered yet accentuated her body in the way only a Pnina Tornai gown can and the lace was not too heavy for the bride despite its ornate appearance. Tailored exquisitely to her body, the gown gave Jennifer just the hourglass figure she desired. In addition to the excellent fit of the gown, the intricate and breathtaking detailing of the French lace made it special and unique. 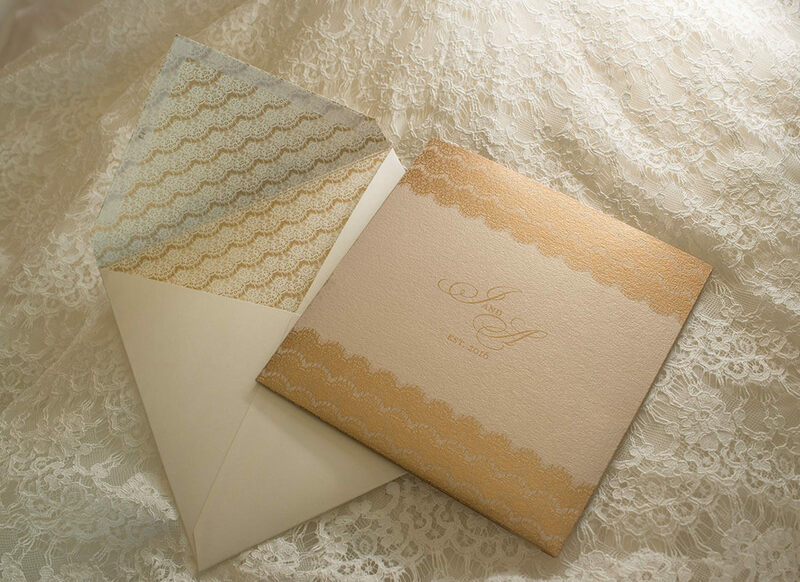 Fun fact: Jennifer loved the detailing of the lace so much that she decided to use the same pattern for her invitations. 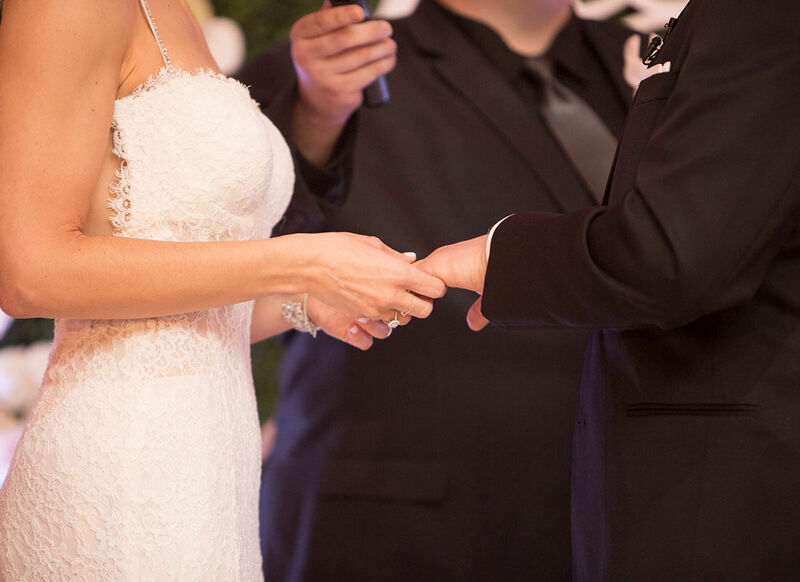 Jennifer and her planner asked the Pnina Tornai team for a swatch of the lace and then used the pattern for the lace detailing on her invitations. It mimicked the lace on the gown perfectly, creating a wonderful symmetry. Lastly, were the gorgeous tennis bracelet straps. As a nice touch of sparkle added to the gown, Jennifer loved the straps for the femininity that they added to the dress. To showcase the straps, Jennifer wore her hair up in an elegant yet sporty ponytail that she believed complimented the underlying “sporty” vibe that the dress had. 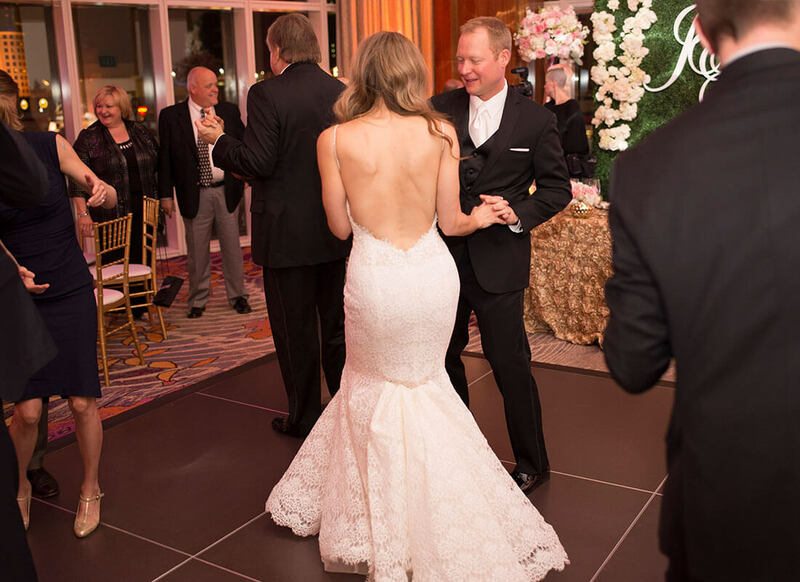 Feminine, elegant, sporty and romantic – Jennifer had truly found everything she was looking for in this one amazing gown. 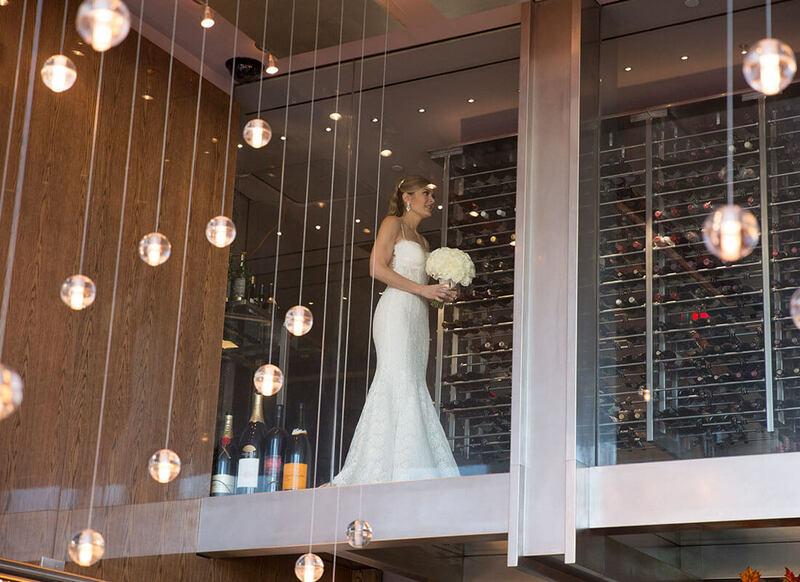 The femininity and modernity of the gown played very well with the upscale location for their wedding and reception. With tones of blush for a softer feel and gold to mimic their desert setting, the gown fit in splendidly with its classic and upscale vibe. The train on the gown also added the ideal amount of dramatic flare to the gown, which paired well with their dazzling rooftop wedding. “I felt like me! 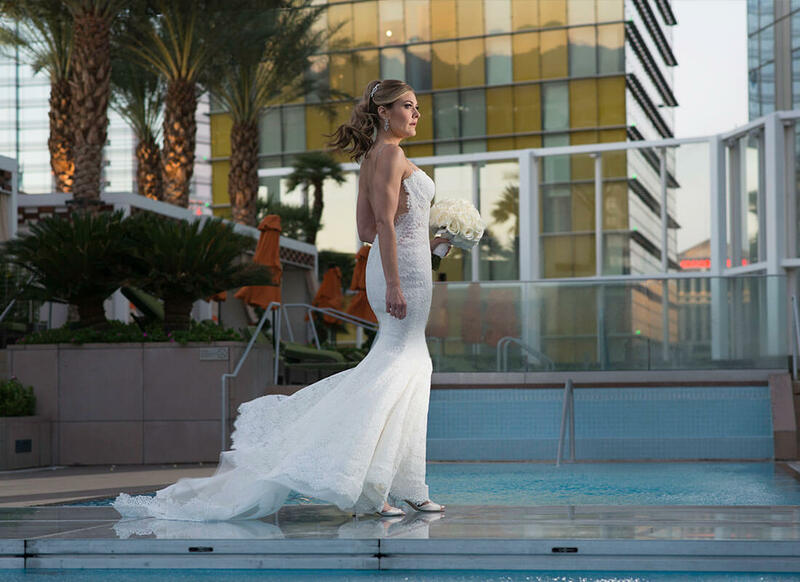 I felt Pnina was able to create a dress in which I was able to feel confident, and beautiful, and athletic, and like me,” Jennifer fondly exclaims. 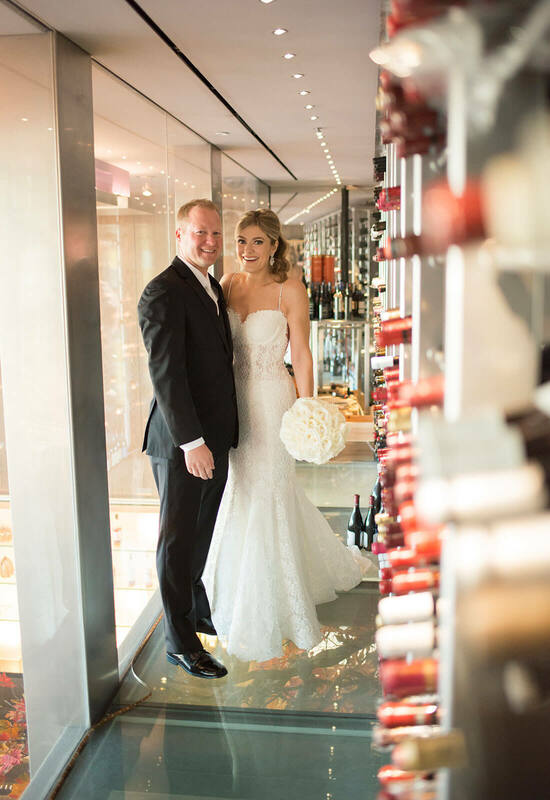 Confident and comfortable in her beautiful French lace gown, Jennifer's heart was full of happiness and love and she began the start of her new wedded life.